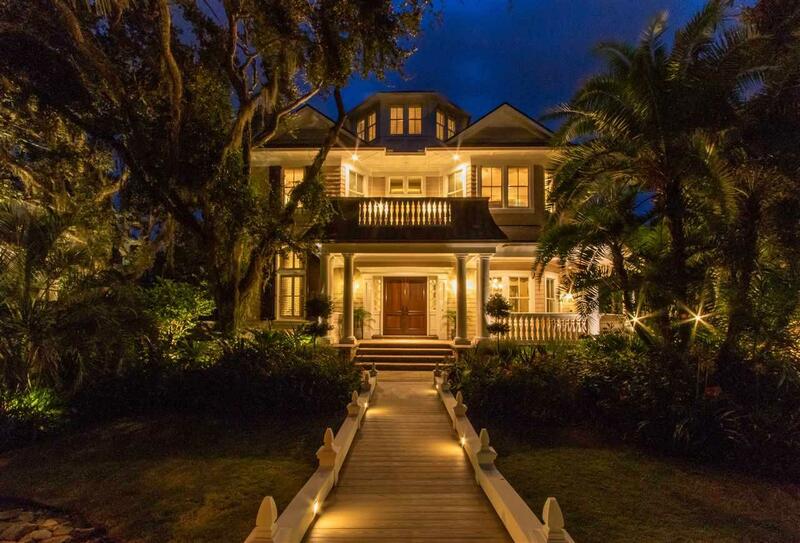 Simply perfect is what you'll say when you are welcomed through the massive Mahogany front doors. 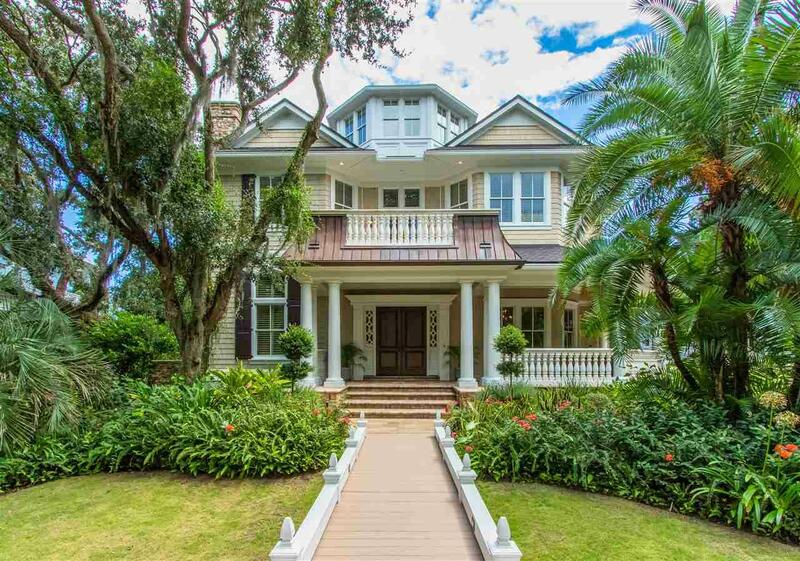 This custom home was built and designed like no other in this upscale Seaside community in St. Augustine Beach. Interior designer personal residence. Luxury throughout with a foyer and spectacular Rotunda floating staircase leading you to magnificent views on all three levels of this finely detailed home. Main level perfect for entertaining both inside and out with many gathering areas for friends and family. Open Chef's kitchen with gas range, island sink with additional breakfast seating. Adjacent Butler's pantry with laundry area. Main floor elevator to second floor master suite, en-suite bath, separate dressing room and laundry. Two additional bedrooms and study/office located on second level. All bedrooms have en-suite baths. Third level Tower Room with kitchenette and dining, 360-degree views to an outdoor roof top deck with gas fireplace, seating area perfect for sunrises to sunsets. Five fireplaces throughout the home to add ambiance or to take off the occasional winter chill. 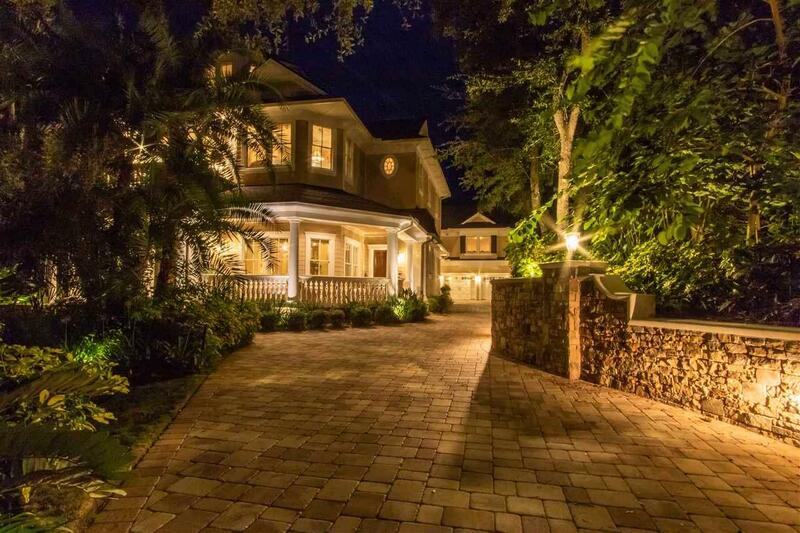 Disney quality landscaping and unbelievable lighting accents surround this beautifully maintained home. 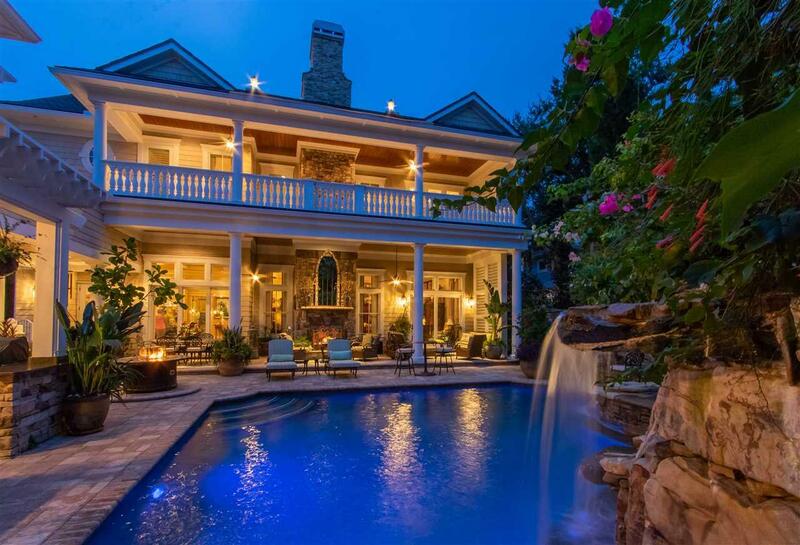 Backyard is a multi-level tropical oasis with a heated saltwater pool, separately heated spa, waterfall, pool bath, shower, summer kitchen, fireplace and multiple gathering areas. Carriage Home with kitchenette and en-suite bath. Two car garage. This estate home is one-of-a-kind. 24-hour security. Short walk to white sandy St Augustine Beach with four gated private beach walkovers. Located in the Sea Colony private estates section. Close to shopping, restaurants and a short drive to historic downtown. Too many upgrades and features to list here Please see attached four pages of features, photos, drone footage and Matterport 3-D Tours.